The Polish Patent Office partially refused to grant the right of protection for the word-figurative trade mark moja historia Z-338905. This sign was applied for PHOENIX PRESS Sp. z o.o. Sp.k. from Wrocław for goods and services in Class 09, 16, 35, 39, 41 and 42. The PPO based its refusal in Class 09, 16 and 41 on the earlier registration of the word-figurative trade mark Moja historia R-187793 owned by WYDAWNICTWO ERA Sp. z o.o. from Straszyn. PHOENIX only agreed that both companies are publishers, but the signs are meant for other goods and are directed to another recipients. Phoenix is a press publisher whose clients are adult women and WYDAWNICTWO ERA is a publisher of school history textbooks (mainly the history of Poland), which customers are students in primary schools. The PPO decided that there exists similarity of signs and goods and services which may lead to consumers confiusion. PHOENIX filed a complaint against this decision. The Company argued inter alia that the PPO could grant the right of protection and it would not deprive WYDAWNICTWO ERA of protection provided for instance in the Polish Act on Combating of unfair competition, if PHOENIX’s trade mark would actually threaten the existence and functions of the trade mark owned by ERA. The Voivodeship Administrative Court in Warsaw in its judgment of 8 June 2011 case file VI SA/Wa 611/11 dismissed the complaint. The Court ruled that regulations on combating unfair competition are provided in a separate act, and it is justified by both the construction of the Polish legal system and due to the method of regulation. The law on combating unfair competition does not create absolute rights, but only the system of legal claims that provides protection in the event of unwanted and objectionable market behavior and actions (unfair competition delicts or torts), which is a different approach than those adopted in the Polish Industrial Property Law, which are based on the granting of absolute rights (monopolies) by an administrative decision. Categories: Art. 107 §3 APC | Art. 132(2)(ii) IPL | Art. 132(3) IPL | Art. 132(4) IPL | Art. 2 IPL | Art. 6 APC | Art. 7 APC | Art. 77 APC | Art. 8 APC | likelihood of confusion | personal rights or interests | Polish Act on Industrial Property Law | Polish Administrative Proceedings Code | Polish courts | press title | similarity of goods | similarity of signs | trade mark refusal | trademark law | Voivodeship Administrative Court. LEK, tovarna farmacevtskih in kemicnih izdelkov filed a notice of opposition to a final decision of the Polish Patent Office on the grant of a right of protection for the word trade mark KETOGEL R-190416 registered for Polpharma S.A. for goods such as pharmaceuticals. 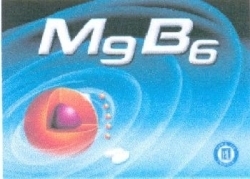 LEK argued that KETOGEL is similar to its word trade mark KETONAL. The PPO dismissed the opposition, and LEK filed a complaint against this decision. The Voivodeship Administrative Court in its judgment of 7 September 2011 case file VI SA/Wa 1236/11 dismissed it. The court noted that in case of the assesment of similarities between trade marks, the number of syllables, their sound and touch have the importance in deciding on phonetic similarity. Visual similarity is assessed in terms of number of words or letters in general, the number of words or letters of the same type, their shape, layout and color. Consequently, a sign containing an altered distinctive element, even if there is some resemblance to other parts, will not be similar. The Court took into account the specificity of the pharmaceutical market, and excluded the likelihood of confusion in this case. Categories: Art. 132(2)(ii) IPL | Art. 164 IPL | Art. 246 IPL | likelihood of confusion | Polish Act on Industrial Property Law | similarity of goods | similarity of signs | trade mark invalidation | trade mark opposition | trademark law | Voivodeship Administrative Court. Sfinks Polska S.A. from Łódź requested the Polish Patent Office to invalidate the rights of protection for word-figurative trade mark R-179260 owned by Restauracja CLEOPATRA Bachar Aziz from Lublin. Sfinks Polska is the owner of the earlier registered word-figurative trade mark SPHINX R-105162. Sfinks claimed that the trade mark CLEOPATRA R-179260 is similar to its trade mark and argued that it has legal interest in this proceedings as there is a possibility of misleading customers based on the similarity of trade marks. This may be particularly applicable considering the fact that SPHINX trade mark is already known on the market and, therefore, it has a stronger distinctive ability. Sfinks also argued that Bachar Aziz filed its trade mark in bad faith with an intent to use the reputation of Sfinks’ trade marks by suggesting a common origin from a single entity. Bachar Aziz requested the PPO to dismiss the case. He argued the Sfinks lacks legal interest in the invalidation proceedings. Moreover, he noted that the signs, in this case, are different conceptually and phonetically. The characters are not visually similar, the earlier trade mark has the form of a sphinx (face of a man resembling an ancient sculpture) and the sign in question shows a woman’s face (Cleopatra). Mr Aziz also noted that designation of the same services by these trade marks is not sufficient to determine the risk of common origin. In this regard, he relied on the collision-free existence of the two signs on the markets in Płock and Łódź. He pointed that other businesses use the representation of the Sphinx to designate their restaurants. The Polish Patent Office in its decision case Sp. 396/08 dismissed the request. The PPO held that the trade marks, in this case, are different in all aspects. While assessing the risk of confusion of the recipients of the services offered by the parties to the proceedings, the PPO ruled that customers of restaurants do not act on impulse as shoppers do. 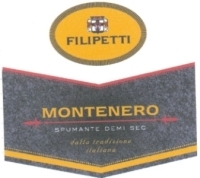 When choosing the restaurant they base their actions on good knowledge of the place, recommendation or advertising, so, first of all, they choose a place based on the name, thus, it is the verbal layer of a trade mark (the name of restaurant), not the graphic element, that will be critical to their selection. Sfinks filed a complaint against this decision. The Voivodeship Administrative Court in its judgment of 16 June 2011 case file VI SA/Wa 112/11 overturned the decision of the Polish Patent Office and held it unenforceable based on entirely different circumstances that one could expect. At the hearing before the Court on 3 June 2011, Sfinks’s trade mark attorney argued that she was not present at the hearing on 16 June 2010 in the Polish Patent Office on the ground that the notice of the hearing was set at 11:00 a.m. and a hearing was held on at 10:00 a.m. Therefore, Sfinks could not be represented properly, as its representative was not able to submit evidence. The Court held that Sfinks did not participate in proceedings through no fault of its own and such situation was a violation of the provisions of the Polish Administrative Proceedings Code. The judgement is not final yet. Categories: Art. 131(2)(i) IPL | Art. 132(2)(ii) IPL | Art. 132(2)(iii) IPL | Art. 145 §1 pt 4 APC | Art. 166 IPL | famous trade marks | legal interest | likelihood of confusion | Polish Act on Industrial Property Law | Polish Administrative Proceedings Code | similarity of signs | trade mark invalidation | trademark law | Voivodeship Administrative Court. On 20 December 2006, the Polish Patent Office granted the right of protection for the word trade mark O’LEARY R-180416 applied for by Piotr Kasprzycki PPH Eveline Cosmetics from Lesznowola for goods in Class 03 such as skin, hair and body care products for children, women and men, mascaras, creams, lotions, shampoos, soaps, gels baths, creams and gels, cosmetics, perfumery, and cleansing tissues and goods in Class 05 such as medicinal cosmetics. French company L’OREAL Societe Anonyme filed a request for invalidation. L’Oreal owns the word trade mark L’OREAL R-42203 registered with the earlier priority of 5 May 1960 for goods in Class 03 such as perfumery and cosmetics, toilet soaps, lipsticks, products for oral care, hair coloring agents, shampoos. The Company also owns the word-figurative trade mark L’OREAL STUDIO LINE R-65340 registered with the priority of 24 November 1988 for goods in Class 03. The French company argued that its trade marks are well-known and reputed. It presented a survey of consumers in the years 2001-2003, which proved the knowledge of the brand and consumer trust in the products. 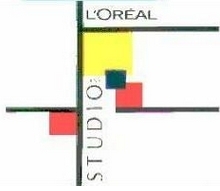 L’OREAL was the brand that has won numerous awards. The company argued that some of the goods are identical other are similar and raised an argument that the trade mark application was made in bad faith. The company relied on the judgment of the French court, which forbade the company that was created by Piotr Kasprzycki in France, the violations of trade marks and company name of L’Oreal, by the use of the name O’LEARY. L’OREAL also claimed the company created by Mr Kasprzycki was fictitious becuase its capital was 1 euro. O’LEARY argued that its trade Mark Has Irish origins and the average consumer is reasonably well informed and reasonably observant and circumspect. O’LEARY admitted that L’Oreal is a strong and very distinguishable brand and the consumer who buys these cosmetics will not pay attention to the other cheaper products. O’LEARY noted that since the French court judgment has been appealed, so the case has not been finally decided. In its opinion, the proceedings in France is not relevant in the proceedings before the Polish Patent Office. The Adjudicative Board of the PPO in its decision of 16 March 2010 case no. Sp. 251/08 invalidated the right of protection for the trade mark O’LEARY. The PPO ruled that O’LEARY is confusingly similar to L’OREAL. Piotr Kasprzycki PPH Eveline Cosmetics filed a complaint against this decision. The Voivodeship Administrative Court in Warsaw in its judgment of 12 April 2011 case file VI SA/Wa 1860/10 agreed with the PPO and dismissed the case. The judgment is not final yet. The cassation complaint can be brought before the Supreme Administrative Court. Categories: Art. 131(2)(i) IPL | Art. 132(2)(ii) IPL | Art. 132(2)(iii) IPL | bad faith | famous trade marks | likelihood of confusion | Polish Act on Industrial Property Law | reputed trade marks | similarity of goods | similarity of signs | trade mark invalidation | trademark law | Voivodeship Administrative Court | well known trade marks. Mariusz Lech Przedsiebiorstwo Produkcyjno-Handlowo-Uslugowe LECH-POL from Lask requested the Polish Patent Office to invalidate the right of protection for the word trade mark “lech wódka” R-145285 registered for Fabryka Wódek POLMOS ŁAŃCUT S.A. for goods in class 33 such as alcoholic beverages: vodka. 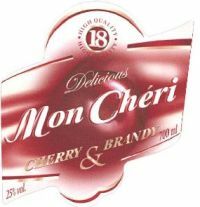 Mariusz Lech argued that the questioned trade mark is confusingly similar to his word-figurative trade mark LECH-POL R-132854 and the word trade mark “mariusz lech” R-113305, both registered for good in class 33 such as alcoholic beverages. The PPO dismissed the request and noted that Mr Lech’s trade mark were not genuinely used for all goods. In 2007 the PPO decided on the lapse of the protection rights for both trade marks in all goods except wines, this cases went through all instances. See “Trade mark law, case II GSK 708/08“. Therefore, the compared goods are different due to existing specialization in the alcohol industry and the awareness of that specialization among potential customers is also important, because the average buyer is aware that the vodka manufacturer does not produce wine, and vice versa. These trade marks may exist on the market without collision. Mariusz Lech filed a complaint against this decision but it was dismissed by the Voivodeship Administrative Court in its judgment of 16 October 2009 case file VI SA/Wa 1050/09. LECH-POL decided to file a cassation complaint. The Supreme Administrative Court in its judgment of 10 February 2011 case file II GSK 259/10 dismissed it. The SAC ruled that the conditions of production of wines and vodka are different. The packagings and sealing of such goods differs and there are different conditions of sale of such products. Vodka in not sold in the wineries, and in case when both types of goods are in a shop, (usually displayed on different shelves in malls), their location is clearly separable. The development of shopping centers and various self-service shops of retail chains, makes the criterion of sales conditions less important when it is used for assessing the similarity of the goods. The Court noted that vodka and wine, because of varying alcohol content, must be treated as different types of alcoholic beverages, which is also reflected in the provisions the Polish Act on Upbringing in Sobriety and Counteracting Alcoholism of 26 October 1982 and the permits that are granted under this Act for trade and service of alcoholic beverages are issued separately for each kind of beverage from a separate pool of permissions. The Court also ruled that the incidental possibility that the producer of wines and spirits is the same entity does not lead to the conclusion that these beverages are of one type. Categories: Art. 9(1)(i) TMA | genuine use | likelihood of confusion | non-use | Polish Supreme Administrative Court | similarity of goods | similarity of signs | trade mark invalidation | trade mark lapse | trade mark use | trademark law. Red Bull GmbH filed a notice of opposition to a final decision of the Polish Patent Office on the grant of a right of protection to the “red dragon” trade mark R-179732 registered for DODONI Roman Górzyński, Marek Górzyński, Marcin Górzyński sp.j for goods in Class 32 such as mineral waters and non-alcoholic beverages. Red Bull claimed that “red dragon” is similar to its RED BULL R-207549, RED BULL ENERGY DRINK IR-0715531 and the CTM RED. Red Bull based its opposition on the reputation of these trade marks. The PPO dismissed the opposition and ruled that the opposed trade marks, despite the identical word element “red”, are different at all levels of perception, i.e., aural, verbal and conceptual, so that they produce a completely different impression on the average customer. These signs also have other verbal elements and the word “red” is present in other trade marks registered for goods in Class 32. In view of significant differences between opposed trade marks that excluded the risk of confusion as to the origin of the goods, the PPO decided that the reputation of Red Bull’s trade marks enjoyed on the Polish market is not relevant for the assessment of the risk of consumers confusion. Red Bull filed a complaint to the administrative court. The Voivodeship Administrative Court in Warsaw in its judgment of 14 December 2010 case file VI SA/Wa 2168/10 dismissed the complaint. The court agreed with the PPO that the consumer who does not speak English will perceive RED BULL and RED BULL ENERGY DRINK as fanciful trade marks, and “red dragon” composed in part with the fanciful word “red” and in part of the Polish word of some specific meaning (Dragoon – mounted infantry or as a tall, stout, vigorous, sprawling woman) will be perceived differently. The court held that since the opposed trade marks are not similar, therefore the registration of “red dragon” R-179732 will not bring unfair advantage to DODONI or be detrimental to the distinctive character or the repute of Red Bull’s trademarks. Categories: Art. 132(2)(ii) IPL | Art. 132(2)(iii) IPL | Art. 151 PBAC | Art. 246 IPL | famous trade marks | likelihood of confusion | Polish Act on Industrial Property Law | Polish Act on Proceedings Before Administrative Courts | reputed trade marks | similarity of goods | similarity of signs | trade mark opposition | trademark law | Voivodeship Administrative Court. The Polish Patent Office dismissed the opposition against the registration of the trademark TARGA R-189862 owned by the Polish company VALVEX S.A.. The request was filed by Aloys F. Dornbracht GmbH & Co. KG. The German company based the opposition proceedings on the CTM TARA no. 827659. The Voivodeship Administrative Court in its judgment of 11 January 2011 case file VI SA/Wa 1936/10 ruled that the risk of misleading the public as to the origin of goods or/and the manufacturer must be examined globally, taking into account all elements relevant. These elements include in particular: the degree of recognition of the earlier trade mark on the market, an association that may occur between that trade mark and the opposed trademark of another entrepreneur, the degree of similarity between the signs and goods and services. 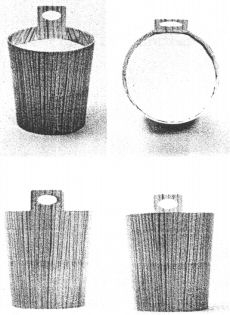 The Court agreed with the PPO that the goods covered by both trade marks were similar and of the same kind. These goods were directed mainly to professionals in the field of sanitary installations, construction or architectural design. The VAC found that these consumers were specialists with an above-average degree of product awareness, who purchased the products at issue in specialized points of retail or wholesale. With regard to the remaining consumers (i.e., non-professionals), the Court pointed out that the goods at issue were not likely to be bought impulsively. The Court found that TARGA and TARA were both simple, and easy to read, pronounce and remember. These signs are composed of four or five letters, and the first three letters ‘TAR’ and the last letter ‘A’ are identical. The trademark TARGA contains an additional letter ‘G’. Both marks are short, so the letter ‘G’ will be easily noticed and heard by consumers. The court found that the additional letter ‘G’ would have an impact on the perception of the marks. Where the trademarks concerned are short, one different letter is in general sufficient to exclude similarity. Categories: Art. 132(2)(ii) IPL | Art. 246 IPL | likelihood of confusion | Polish Act on Industrial Property Law | Polish law | similarity of goods | similarity of services | similarity of signs | trade mark invalidation | trademark law | Voivodeship Administrative Court. 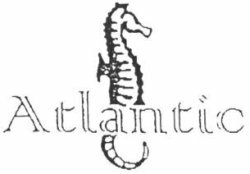 The Polish company GRAAL S.A. from Wejherowo applied for the word-figurative trade mark ERAFISH Z-340740 for goods in Classes 29 and 31. The Polish Patent Office refused to grant the right of protection for goods in Class 29. The PPO found that the applied sign is similar to the CTM EvraFish no. 4948618 owned by Stek-Rol. GRAAL filed a complaint against this decision. The Voivodeship Administrative Court in Warsaw in its judgment of 24 September 2010 case file VI SA/Wa 1124/10 dismissed the case. The Court held the risk of confusion is based on wrong, inaccurate attribution of goods bearing a given trade mark to a right holder by an average consumer. The more distinctive trade mark with the earlier priority is, and the goods or services bearing the marks compared are more similar, the bigger risk of confusion exist. However, when the signs are identical, and the similarity between the goods exists, there is a significant possibility of confusion, or association of both signs, even for professionals. The relationship between a particular product or service and the sign marking it is formed in the minds of buyers. The Court also noted that the likelihood of misleading consumers as to the origin of products bearing similar trade mark increases with the degree of similarity of the signs. Therefore, the buyer may assume that the owners of such similar signs are in organizational or legal relationship. The existence in the course of trade of a similar trade mark may suggest that the sign is merely a variation of an earlier registered trade mark and comes from the same entity. This was even more dangerous, since both signs are intended to mark the same goods. If the signs are so similar and there are the same goods/services selected, one cannot exclude the confusion among the consumers of those goods because consumers do not always analyze the structure of the mark before selecting the provider of goods or services. GRAAL S.A filed a cassation complaint. See “Trade mark law, case II GSK 413/11“. Categories: Art. 132(2)(ii) IPL | likelihood of confusion | Polish Act on Industrial Property Law | similarity of goods | similarity of services | trade mark refusal | trademark law | Voivodeship Administrative Court. On 17 July 2008 Eltel Networks S.A. requested the Polish Patent Office to make a decision on the lapse of the right of protection for ELTEL R-75862 trade mark that was registered for ELTEL Przedsiębiorstwo Usługowo-Handlowe Brodnicki Bolesław from Poznań. The PPO concluded that the evidence submitted (invoices), despite using slightly different terms refer to services that correspond to services protected by the registered trademark. Eltel Networks filed a complaint against this decision. The Voivodeship Administrative Court in its judgment of 15 October 2010 case file VI SA/Wa 1425/10 held that documents, in particular orders, invoices, delivery or sale receipts, as well as labels, packagings and related evidence that is demonstrating the real occurrence of goods or services in trade, should be deemed as the essential evidence. But the crucial evidence are the invoices, because labels, tags, hangers, bags and seals for clothing, and pictures of stores do not show and prove the actual sale of goods marked with the sign, nor did they show the measurements and scale. Without invoices, the advertising materials, such as calendars, cards, pictures with the logo, can play only a supporting role. The Court agreed with the PPO and dismissed the complaint. The judgment is not final yet. Categories: Art. 131(1)(ii) IPL | Art. 131(1)(iii) IPL | Art. 131(2)(i) IPL | Art. 145 IPL | Art. 169(6) IPL | company name or firm | likelihood of confusion | personal rights or interests | Polish Act on Industrial Property Law | similarity of services | trade mark lapse | Voivodeship Administrative Court. Aveda Corporation from Minneapolis, filed an opposition to avea R-151914 trade mark owned by INTERSILESIA MCBRIDE POLSKA Sp. z o.o. from Strzelce Opolskie registered for goods in Class 03. Aveda Corporation argued that avea trade mark is similar to its earlier AVEDA R-131741 trade mark. The Polish Patent Office has dismissed the opposition arguing that although the cosmetics in class 03 are goods for everyday use, the consumers pay special attention before their purchase, they check the ingredients of these products and are often testing them. Moreover avea trade mark is a word-figurative mark so it is protected as a whole. Aveda Corporation filed complaint against this decision. The Voivodeship Administrative Court, in its judgment of 23 February 2007, case file VI SA/Wa 2048/06 dismissed the case. The Court held, that there is no risk of misleading the potential consumers although the trade marks AVEA and AVEDA are intended for marking the same goods, namely cosmetic products in class 03. Moreover the Court has agreed with the PPO, that the overall impression that trade mark exerts on the potential consumer is the most important factor. Although both trademarks differ from each other only in one letter, the figurative element in avea trade mark has crucial meaning. Aveda Corporation filed a cassation complaint against this decision. The Supreme Administrative Court in its judgment of 20 December 2007 case file II GSK 258/07 held, that the Voivodeship Court could have agreed with the Polish Patent Office that the fact that both trade marks consist of the same element “ave” does not have to mislead the potential consumer when the letter “d” in the middle of the trade mark AVEDA this influences different perception of the trade mark. Although it was argued that the overall impression of the word-figurative trade marks in which the dominant element is a word, depends generally on the number of letters and the structure of the word. The Supreme Administrative Court held, that the average consumer perceives the trade mark as a whole and does not analyze its particular elements. Therefore small differences between the trade marks are not sufficient to exclude the risk of visual similarity, especially when the trademarks have the common structure. In this particular case, it was considered that without analyzing the details of AVEDA and avea trade marks, the average consumer would notice the differences between both trade marks. In answer to request of the plaintiff to refer to the Court of Justice for a preliminary ruling, stating that currently in force, test of assessment of risk to mislead a consumer and associating of trade marks on the basis on the art. 4 paragraph 1 point b), art. 5 paragraph 1 point 5 of Directive still raise concerns and in consequence there are discrepancies in the judgments of courts and Polish Patent Office, based on the judgments of OHIM, the Supreme Court held, that question formulated in this way did not meet criteria of Article 187 § 1 of Act on Proceedings Before Administrative Courts, according to which if, during cognisantion of the cassation appeal, there would appear a legal issue, that will raise doubts, the Supreme Administrative Court may postpone the proceedings and introduce this issue to the Composition of seven judges of this Court for deciding. Regarding the following question of plaintiff to the Court of Justice of European Union i.e. whether increased level of attention of the average consumer can be admitted regarding the goods of common use, the Supreme Administrative Court ruled that the answer to this question was not of vital importance to this matter, because even lack of higher level of attention of the average purchaser of cosmetics did not affect the assessment that in the subject case, during the assessment of the opposite trade marks there was no risk of misleading the potential consumers. Categories: Art. 132(2)(ii) IPL | Art. 141 §4 PBAC | likelihood of confusion | Polish Act on Industrial Property Law | Polish Act on Proceedings Before Administrative Courts | Polish courts | Polish Supreme Administrative Court | similarity of goods | similarity of signs | trade mark opposition | trademark law | Voivodeship Administrative Court. In 2005, the Polish Patent Office registered the word-figurative trade mark MASTER COOK JAPART R-164044 for Przedsiębiorstwo Produkcyjno-Handlowo-Usługowe “JAPART” Zakład Pracy Chronionej from Panki. Podravka Prehrambena Industrija form Koprivnica Croatia, the owner of the word-figurative trade mark “PODRAVKA VEGETA” R-138057, gave reasoned notice of opposition to the final decision of the Patent Office on the grant of a right of protection. The PPO in its decision of 13 June 2008 case no. Sp. 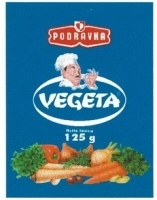 523/06 ruled that “PODRAVKA VEGETA” is the reputed trade mark, although Podravka Prehrambena also supplied very worthless evidence materials. However, the PPO agreed with the owner that its trade mark was introduced on the Polish market in 1994, which was properly supported by documents issued on 11 October 1994 by the company’s marketing department. From this date the reputation of the trade mark could have been created and the existence of reputation is established before the date of application for the trade mark. In case of “MASTER COOK JAPART” it was before 3 April 2002. Therefore, the PPO invalidated the right of protection. Japart filed a complaint. The Voivodeship Administrative Court in its judgment of 22 May 2009 case file VI SA/Wa 2147/08 dismissed it. The Court came to the conclusion that Japart used a specific, multi-element composition of a reputed mark. 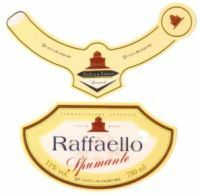 The Court held that the likelihood of obtaining unfair advantage from the reputed trade mark is the obstacle that justifies the refusal to grant an exclusive right to sign that is identical or similar to the earlier a famous mark. It was therefore sufficient to assume that the applicant could use investments and financial efforts, which have previously been made by the owner of earlier trade mark to build an attractive image of the mark and attract customers. Japart filed a cassation complaint. The Supreme Administrative Court in its judgment of 12 October 2010 case file II GSK 849/09 agreed with the VAC and dismissed the case. See also “Unfair competition, case I ACa 1270/10“. Categories: Art. 131(1)(i) IPL | Art. 131(1)(ii) IPL | Art. 132(2)(iii) IPL | Art. 315 IPL | Art. 7 APC | Art. 80 APC | descriptive character | famous trade marks | likelihood of confusion | Polish Act on Industrial Property Law | Polish Administrative Proceedings Code | Polish Supreme Administrative Court | reputed trade marks | similarity of goods | trade mark invalidation | trademark law | Voivodeship Administrative Court | well known trade marks. On 14 March 2007, the Polish Patent Office registered the word-figurative trade mark Oxford Wielka Historia Świata R-187352 for goods in Class 16 such as books and periodicals. The Polish company “Oxford Educational” sp. z o.o. from Słupsk was the applicant and the holder of the right of protection. The Chancellor Masters and Scholars of the University of Oxford (Oxford University Press) filed a request for invalidation. The OUP argued that it is obvious to everyone that Oxford is a place uniquely associated by the public around the world with the home of a famous university. Therefore, marking the goods with a signs associated with Oxford – the seat of the famous University of Oxford – may mislead the public as to the true geographical origin of products. The OUP also pointed out that, with priority from 24 April 1995, is entitled to the rights of protection to three trade marks sharing the same verbal element, OXFORD, R-103399, OXFORD UNIVERSITY PRESS R-102351 and OXFORD ENGLISH R-102350. The Polish company argued that the trade mark at issue does not refer to a geographical name of Oxford town, but to holder’s company name, and therefore it is not misleading. Oxford Educational also argued that the disputed sign was created in collaboration with an English company. The Polish Patent Office invalidated the right of protection. The PPO ruled that the conflicting trade marks are registered for identical goods, therefore, there is a risk of misleading the public as to their origin. Oxford Educational filed a complaint against this decision. The Voivodeship Administrative Court in Warsaw in its judgment of 13 May 2010 case file VI SA/Wa 299/10 dismissed the complaint. The Court held that in case of a collision between a company name (the firm) and a trade mark that was registered with the “worse priority,” the priority shall be given to the right that was previously-formed. The mere registration of a trademark that is identical or similar to another company’s name (firm) does not provide even a breach of the rights to the company. However, the right to the company name would be infringed if the registration of a conflicting trade mark interferes with the exercise of this right. This distortion is misleading as to the identity of actors (acting under the company name and usign the sign) and therefore may jeopardize the company name. In case of a known, reputable, i.e. “strong” trade mark it means that the consumer awareness is associated with the recognized high-quality of products, derived from the manufacturer with high reputation. Thus, the registration of the questioned trade, and more – its application was made with a clear intention to benefit from the reputation of the OXFORD trade mark. Categories: Art. 132(2)(ii) IPL | Art. 246 IPL | Art. 315 IPL | company name or firm | famous trade marks | likelihood of confusion | personal rights or interests | Polish Act on Industrial Property Law | similarity of goods | similarity of signs | trade mark invalidation | trademark law | Voivodeship Administrative Court | well known trade marks. 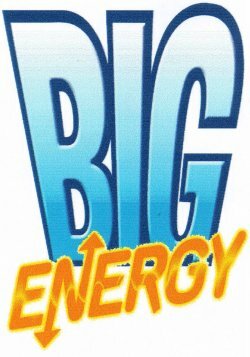 The Polish company Polski Koncern Naftowy ORLEN S.A. applied for the right of protection for word-figurative trade mark “BIG energy drink” Z-336460 for goods in Classes 06, 16, 32, 35, 43. 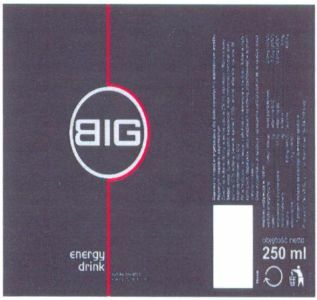 The Polish Patent Office issued a decision refusing to grant the protection in part of goods in Class 32 such as energy drinks, juices and juice drinks, carbonated and non-carbonated mineral water, drinks other than alcohol, syrups, concentrates for the preparation of drinks, sports drinks, nectars, beer and in part of services in Class 35 such as retail and wholesale sale services of energy drinks, juices and juice drinks, mineral water, alcoholic drinks, syrups, concentrates in the preparation of drinks, sports drinks. The PPO found also a conflicting CTM “BIG ENERGY” No. 002135812 registered for goods such as non-alcoholic beverages, fruit drinks, fruit juices and fruit nectars, bases and essences (included in class 32) for making the aforesaid beverages. ORLEN filed a complaint against this decision claiming that the refusal was based solely on the likelihood and hypothetical clues, not actual evidence of a convergence of signs and the resulting collision. There was also no presence of the product bearing the opposed trade mark on the Polish territory. The Voivodeship Administrative Court in Warsaw in its judgment of 30 August 2010 case file VI SA/Wa 1099/10 annulled the contested decision. The VAC ruled the relationship between the petrol stations retail networks and certain “additional products”, bearing their trademark, is becoming ever closer. In such situation it significantly reduces the risk of confusion – the risk of misleading the public, which includes in particular the risk of associating the trademark with an erlier trade mark. The consumer begins to associate certain product (e.g., energy drink), not only with a specific sign, but also with a specific network of petrol stations, in which the drink will be available. The judgment is not final. Categories: Art. 132(2)(ii) IPL | Art. 7 APC | Art. 77 APC | likelihood of confusion | Polish Act on Industrial Property Law | Polish Administrative Proceedings Code | product packaging | similarity of goods | similarity of services | similarity of signs | Voivodeship Administrative Court. The Voivodeship Administrative Court in Warsaw in its judgment of 16 June 2010 case VI SA/Wa 180/10 held that in assessing the confusing similarity the PPO should not be limited to include only one component of a complex sign while comparing it with another trade mark. On the contrary, such a comparison is made by examining the signs as whole. Categories: Art. 107 §3 APC | Art. 132(2)(ii) IPL | Art. 134 IPL | Art. 6 APC | Art. 7 APC | Art. 77 APC | Art. 8 APC | Art. 80 APC | likelihood of confusion | Polish Act on Industrial Property Law | Polish Administrative Proceedings Code | similarity of goods | similarity of signs | trade mark examination | trade mark opposition | trademark law | Voivodeship Administrative Court. The Voivodeship Administrative in its judgment of 5 August 2010 case file VI SA/Wa 839/09 decided on the complaint of the holder of the Polish trademark registration DSC R-82966 against the decision Sp. 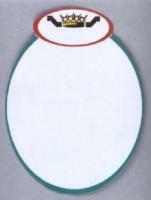 2/98 of the Polish Patent Office of 28 January 2009 on invalidation of this trademark. The VAC has not examined substantive issues of the matter because as it has stated the decision of the Polish Patent Office is too general and it does not specify documents on which the Polish Patent Office has based its findings. In the Court’s opinion the Polish Patent Office quoting his findings has only used the phrase “it results from the submitted documents that…”, instead of giving precise description of each relevant document, which prevents the Voivodeship Administrative Court from presenting its opinion on the correctness of the questioned decision. In view of above, the complaint has been accepted and the matter has been transferred to the Polish Patent Office for reexamination. Categories: Art. 107 §3 APC | Art. 145 PBAC | Art. 152 PBAC | Art. 164 IPL | Art. 252 IPL | Art. 315 IPL | Art. 7 APC | Art. 77 APC | Art. 80 APC | bad faith | likelihood of confusion | Polish Act on Proceedings Before Administrative Courts | similarity of signs | trade mark invalidation | Voivodeship Administrative Court.